velvety. This is used to describe certain Spanish wine grapes and wines. The Albarino is a white wine produced from Galician grapes, which are rich, complex and velvety. 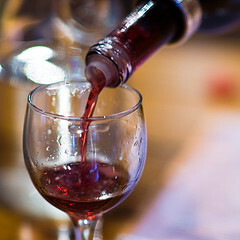 Carinena, a red wine from Cataluña, Aragon and La Rioja, consists of a combination of grapes such as the Carinena and the Tempranillo producing a velvety texture to the wine. The Mencia is a red grape from northeastern Spain. It produces wines with a velvety texture. Last but not least is the Merlot found in parts of Aragon and sections of the Ribera del Duero. It produces soft, warm and velvety wines.